Hi Everyone! L'oreal Paris is back with "SAY YES TO COLOR" and I am one of the twelve bloggers from all over India chosen for this campaign. 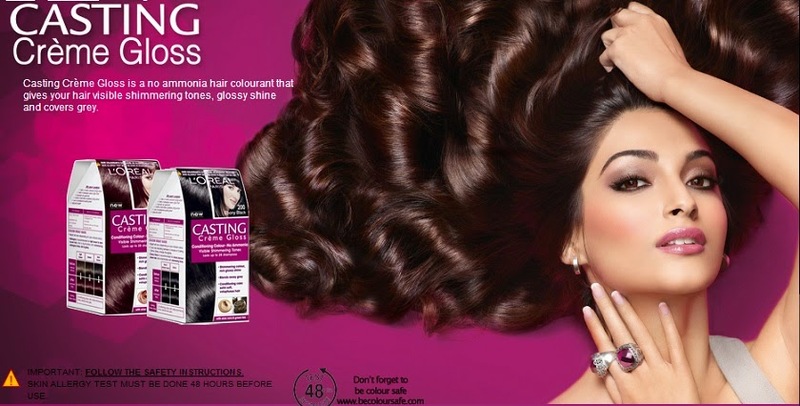 I have never been a huge fan of coloring my hair.If you ask me, why I got associated with this campaign? Honestly, my friend busted few myths about hair coloring and after a lot of thinking I decided to try out. Until today I have never colored my hair except for occasional mehindi once in two years (Yeah I know! I should be reprimanded by the hair police for following such a horrible hair care routine). Though, I will bust the myths about hair coloring in the next post. Follow me on my journey to discover the advantages of coloring the hair. Hopefully by the end of the campaign you all will "SAY YES TO COLOR", Today's blogpost I will be sharing a few of the hair color trends for brunette hair which has captivated me! 2. Pink Highlights: After seeing Liz Cherkasova of Late Afternoon blog pink ombre hair, I am totally tempted to add pink highlights to my hair! But working in a corporation, it is not a viable option. I just love how the brightness of pink contrast the brunette hair to add depth to the hair. As of now this hair trend is on my wishlist..
3. Highlights: This is one trend which will brighten your face and some depth to your hair. If you have dark brown hair then add chocolate brown highlight effect to look incredible.If you have light brown hair then add caramel highlights for a more innocent yet daring look. It is safe to sport lighter tones during spring. 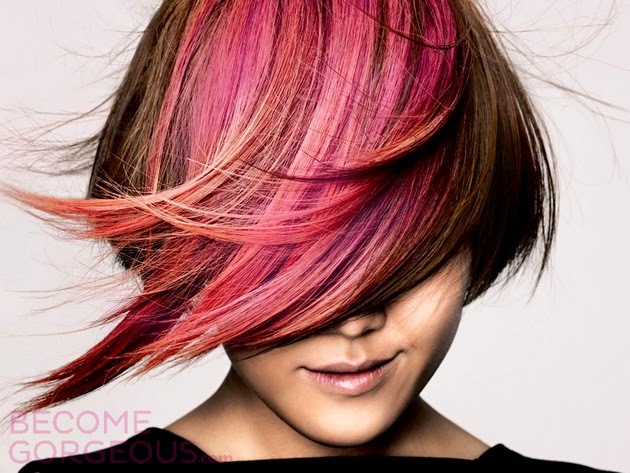 Fierce Red hair: I think is this one the edgy hair color trend to break you out of a beauty rut! Very few people can actually pull this trend off. After a lot of contemplation, I have opted for L'Oréal Paris Casting Creme - Shade Mahogany 550. I am super excited about coloring my hair. Watch out this space for more! Until next time..
P.s. Photos from various Internet sources.